VA IRRRL Credit Requirements - Do You Need Good Credit To Refinance? A common question we get alot is what are the VA IRRRL credit requirements? When it comes to the VA streamline or VA loans in general the VA does not set any specific criteria for credit scores. That being said the VA does not actually isssue the loan but rather they insure and back a percentage of the loan in case of default. Banks lending the money are going to set their own set of requirements that they feel comfortable with. For VA streamline loans, the VA’s expectations on how the lender evaluates the credit score and history are even less. Lenders differ widely on what they will approve, and we’ll go over the differences and similarities here to give you a good idea of what you can expect. It’s fairly common in the VA loan industry for lenders to set a specific minimum credit score that they are not willing to go below in order to approve a loan. While this is a common method, we’ve found that it is not a fair analysis for many veterans who may be suffering from military-related injuries or other tragedies, and may have medical bills or student loan debt that is negatively affecting their credit scores. That veteran may be doing a phenomenal job of managing their money and making their payments, but health care bills, student loan debt, and other expensive debt can make their numerical score seem dismally low. Here at National VA loans, we feel that a more human approach to evaluating borrower credit gives us better results and helps make sure that we don’t turn away worthy borrowers with low credit scores. What’s beautiful about the VA requirements for the IRRRL, is that they permit a record of the borrower’s payment history on the VA loan that’s being refinanced to stand in lieu of a credit report of any kind. Many lenders still require a credit report even though the VA does not require it, and in many cases, we do as well, but only as needed. Whenever we can, we go straight off the outline the VA provides and look at your current loan payment history. Generally, as long as you are current and you do not have a record of missing payments, that’s all we need to get you a VA streamline. If you want to know if we will need to pull your credit score, give us a call or contact us using our website, and explain your situation. We’d love to help you out. In the mortgage industry at large, you’ll find it’s very difficult to find financing for a VA loan if you have a credit score under 620. Considering that the minimum credit score for most conventional loans is much higher, and even the minimum for FHA loans is higher than 620, the VA loan industry has very borrower-friendly requirements. While you can certainly be approved for a loan with a credit score under 620, we still need to protect ourselves from the additional risk, and often the terms that you will be offered are not as advantageous as a borrower with a score in the high 700s might get. 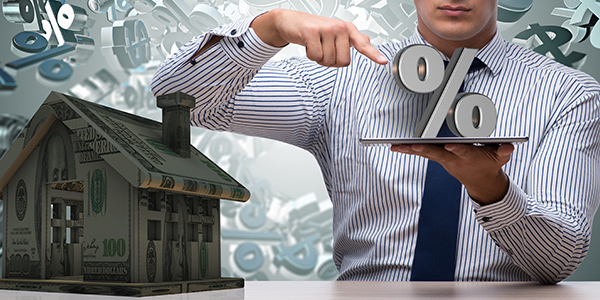 Coming in with a low credit score has the potential to negatively affect the interest rate that a VA mortgage lender will offer you on the IRRRL. This is something that can be reasonably expected across the board in every single loan program, not just the VA loan program. Closing costs may also be higher for a borrower with a lower credit score, since more man-hours, research, and document acquisition will take place to determine that the borrower is, in fact, a safe bet for us to take on. That being said, the increase in closing costs is not likely to be dramatically higher than they would be for a high-scoring borrower who flies through the approval process. If you have more question about va streamline refinance credit score requirements or would like to inquire about refinancing your VA loan call 855 956 – 4040 to speak with a VA mortgage specialist.